Easter brings up sweet extravagances around its star ingredient: chocolate. 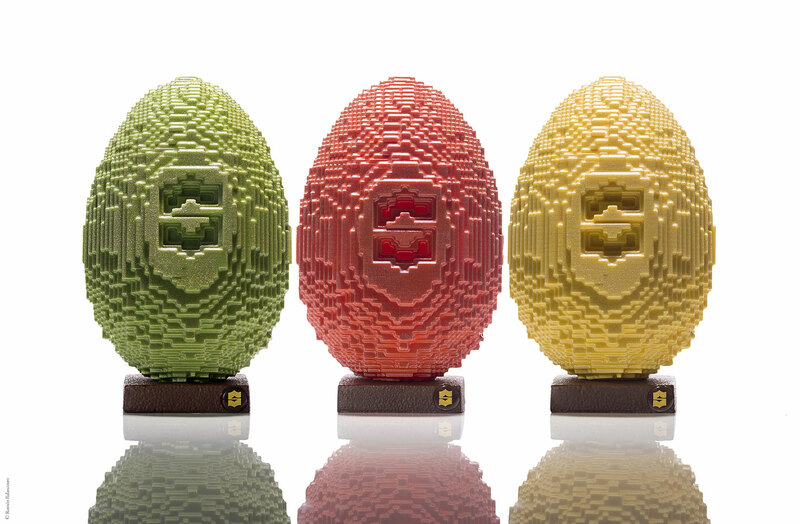 Michaël Bartocetti, the pastry chef at the Shangri-La Hotel Paris, sought inspiration in his youth to create these Pixel Art Easter eggs. 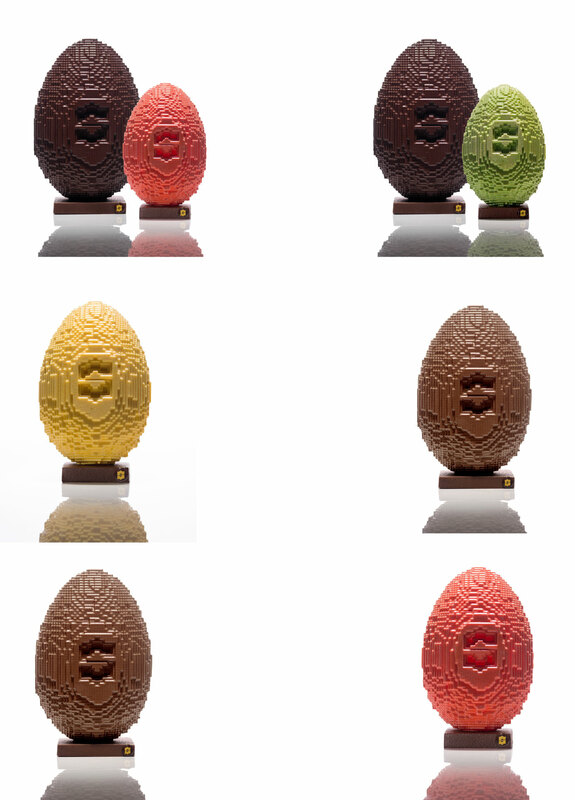 Aligning, graphic and playful, these five eggs declined in two sizes, are a true declaration of greed. “Megapixel”, the smallest one of 12 cm high, plays with colors (green, yellow or coral) that coats its delicate milk chocolate Jivara 40% shell, lined with a thin layer of white chocolate. “Gigapixel”, the XL version of 18cm high, offers an exceptional last-longing taste thanks to its 66% Caribbean black chocolate with notes of roasted, spiced and slightly woody dried fruits. Ultimate surprises, these two eggs reveal an inside shell strewn with shards of almond nougatine and salt flower while their bases in dark chocolate bring a touch of additional sweetness thanks to a hazelnut praline flavored with bigaradier and caramelized pine nuts. Eggs that the greedy aesthetes will take the time to admire before crunching them … or not!